Dry skin can be very irksome, especially during harsh winters. The dry patches, flakiness, and sensitivity are all things we could do without. It is important to be very careful about the products you apply to your face and be mindful of the ingredients they contain as these may add to the dryness and irritate your skin further. Face creams can help you as long as they nourish your dry skin without causing greasiness. 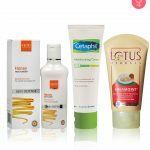 Here are 10 of the best face creams for dry skin that you must try. Check them out! 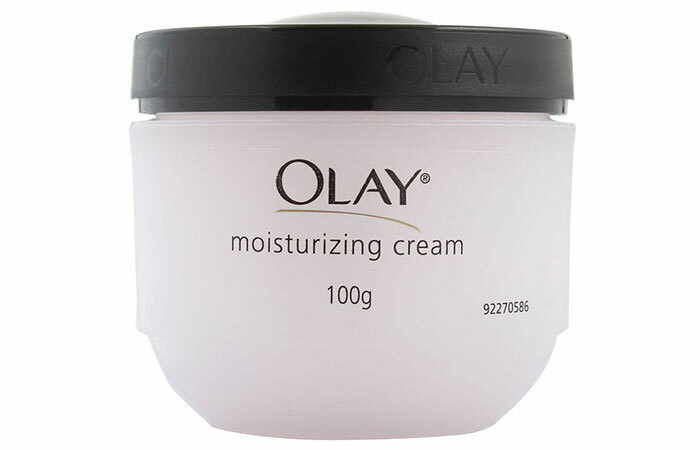 Olay Moisturizing Cream provides long-lasting moisturization and improves your skin’s softness and smoothness. The hydrating formula contains a unique moisture binding system that locks in moisture where it’s needed most. The fluids in this moisturizing cream are so similar to the natural fluids in young skin that your skin readily claims them as its own. This is easily the best cream for dry skin out there. 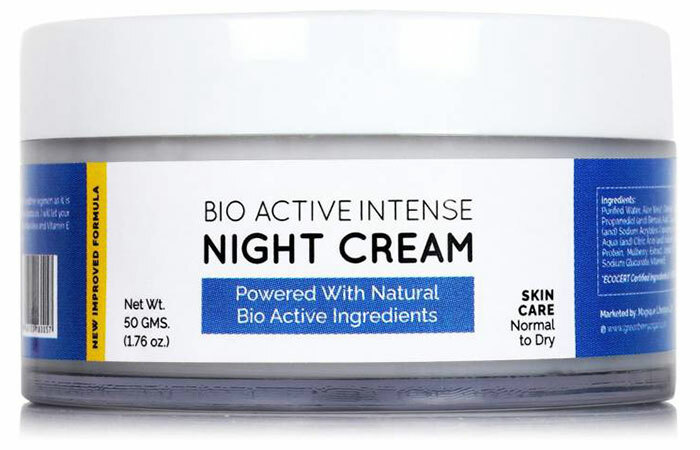 The Bio Active Intense Night Cream from Greenberry Organics nourishes, comforts, and calms your skin when you sleep. It restores your skin’s natural defense system and moisturizes it without leaving behind a greasy feeling. This organically-formulated face cream for dry skin gives you a brighter complexion along with more youthful skin. As an anti-aging night cream, it reduces fine lines and wrinkles and soothes and smoothens your skin. 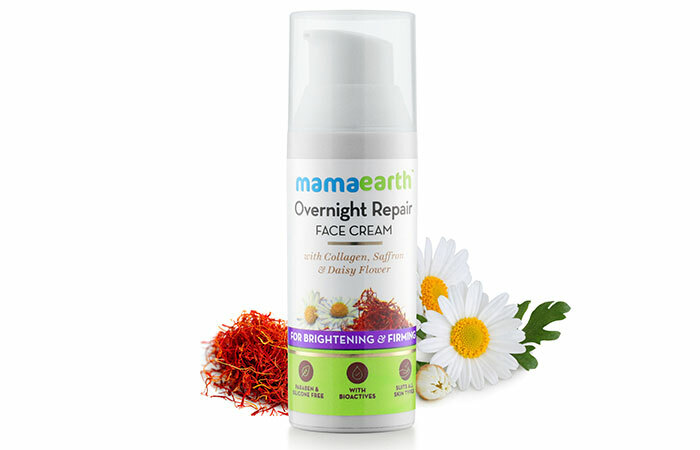 Mamaearth’s Overnight Repair Face Cream packs in collagen, saffron, and daisy flower to give your skin a much-needed boost. Its daisy flower and saffron extracts help in brightening your skin from deep within, imparting a radiant glow. Its collagen content works to improve your skin’s elasticity, making it supple. This night cream also contains shea butter and olive and almond oils to keep your skin moisturized. Other benefits of this cream include lightening age spots and restoring skin moisture. Biotique Bio Wheat Germ Youthful Nourishing Night Cream is created using a unique formula that keeps your skin youthful and prevents aging. It is the best moisturizer for dry skin as it gives that extra boost of hydration. Apart from moisturization, this night cream strengthens your skin for a more resilient and younger appearance. Using this cream regularly on cold winter nights prevents dryness and environmental stress. MCaffeine Shea Butter Caffeine Cold Cream provides nourishment and care for skin that loses moisture and hydration due to the harshness of winter. This cold cream is formulated to protect the skin against rough winters, chapped skin, and dullness. The deeply hydrating formula restores the skin’s healthy moisture balance and nourishment, without adding greasiness. 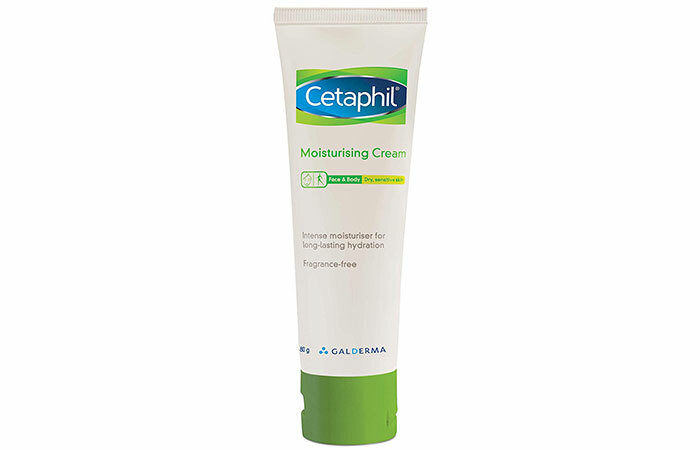 Cetaphil Moisturizing Cream is a rich moisturizer that delivers intense hydration and replenishes dry, sensitive skin. This cream has a unique formula that binds water to the skin, preventing moisture loss. It is formulated to provide immediate and long-lasting relief and is the best face moisturizer for dry sensitive skin. The moisturizer blends easily and leaves dry skin soft and smooth to the touch. 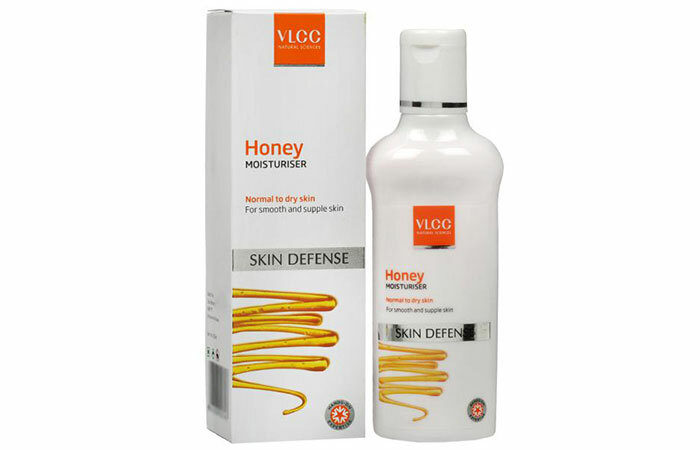 VLCC Honey Moisturiser is enriched with honey extracts and essential oils of jojoba, almond, and olive. These elements are combined to intensely hydrate, nourish, and rejuvenate dry skin, especially during harsh winters. It actively corrects the skin’s natural moisture balance, making it smooth and supple. It keeps your face feeling fresh and soft all day long. Sheamoist Shea Butter and Real Strawberry 24 hour Moisturizer by Lotus Herbals is a complete solution for dehydrated skin. It heals chapped skin and acts as a shield against the harsh winter. Shea butter works as a natural moisturizer, making the skin soft and supple. Strawberry is a rich antioxidant that helps to soothe and tone your skin. 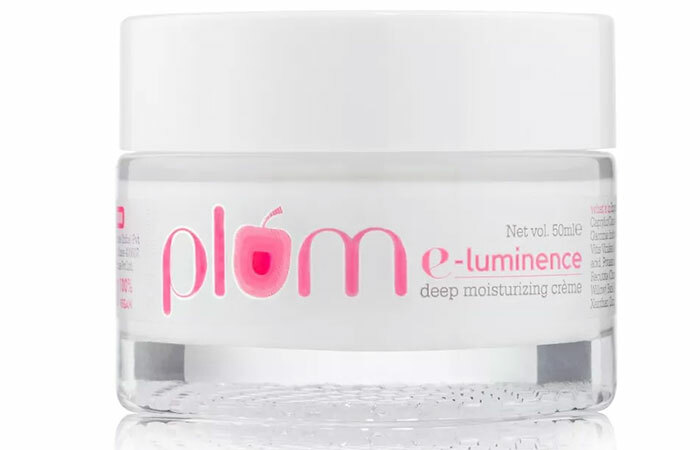 Plum E-Luminence Deep Moisturizing Cream combines the hydrating power of vitamin E with a dozen potent plant nutrients, such as jojoba oil and kokum butter, to give excellent hydration and nourishment to dry and damaged skin. Chamomile flower extract calms and soothes irritated skin. Regular use leaves you with a well-moisturized complexion that exudes a dewy radiance. Plum Hello Aloe Caring Day Moisturizer is a very mild day cream for dry and sensitive skin. It contains pure organic aloe juice and is fortified with vitamin E. The unique combination delivers intense hydration to your skin without making it greasy. The organic formula created without harmful chemicals provides pure nourishment for your skin. 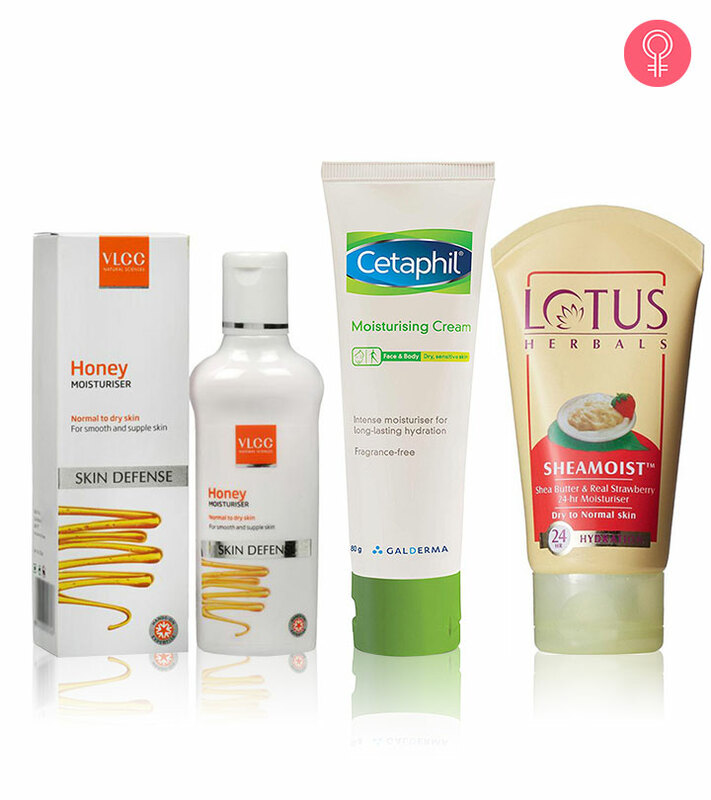 Now that you know about the best face creams out there for dry skin, which would you pick first to nourish your face? Let us know in the comments below.